With 6 children under 7 years old, it is difficult to walk anywhere together and feel safe. It is also awkward to try to hold a child's hand while pushing a stroller! So, what do you do when you need a way to feel secure and walk with your little one? You get a tag*a*long! I had the chance to review the tag*a*long. 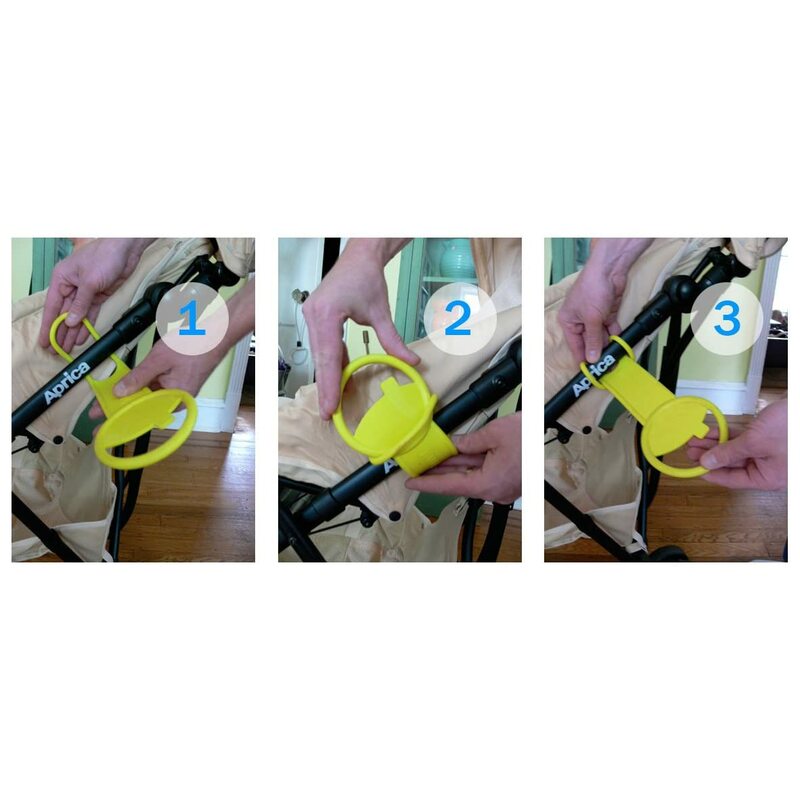 The tag*a*long new product designed to give older siblings (or children who don't want to be in the stroller full time) a way to hold on to a stroller (or shopping cart!) while the adult pushes the stroller. Really easy to put on! So, last night was our town's holiday celebration. We only live a couple blocks from "in town" so we always walk. Perfect time to try out the tag*a*long! RJ was happy to try out the tag*a*long! 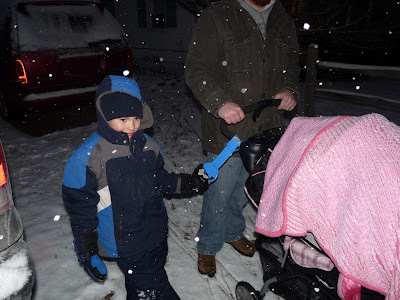 We placed it on the handle of our stroller because the canopy wouldn't go down if we placed it lower, but it worked just as well! It's kinda hard to see the tag*a*long that RJ is holding on to because of the snowflake, but he is holding it and loving it! Here we are walking...RJ still has the tag*a*long! He never let go, and he never complained about holding on-which he usually does when we make him hold our hands or hold the stroller handle. The tag*a*long is definitely much more comfortable to walk with! I can definitely see this product coming in handy at a mall, in the park, or in a grocery store! I HIGHLY recommend this product, it is totally worth $9.99! 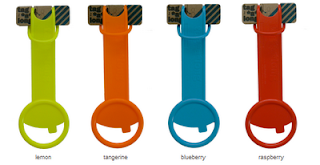 You can purchase this awesome device from Amazon, or directly from tag*a*long! Like tag*a*long on Facebook and keep an eye out for special offers! Let them know Six in the Nest sent you! When they get 1230 fans they are giving away a STROLLER with attached tag*a*long! I am a new follower and those would have come in handy a few years ago. I have 7 kids and right now they are 7 under 11 but I do remember the days they were a lot younger. Thanks for the review. I can imagine how hard it could be. I have two under 5 and found it hard when they were abit younger. I made my own tag along and love the concept. I'm a new follower from LJ blog hop.